While I was looking for new books to put on my Kindle, I came across this. Square-Enix hasn’t exactly been exact with their release dates. We just usually just wait and wait and wait and wait until it actually comes out. But not today! 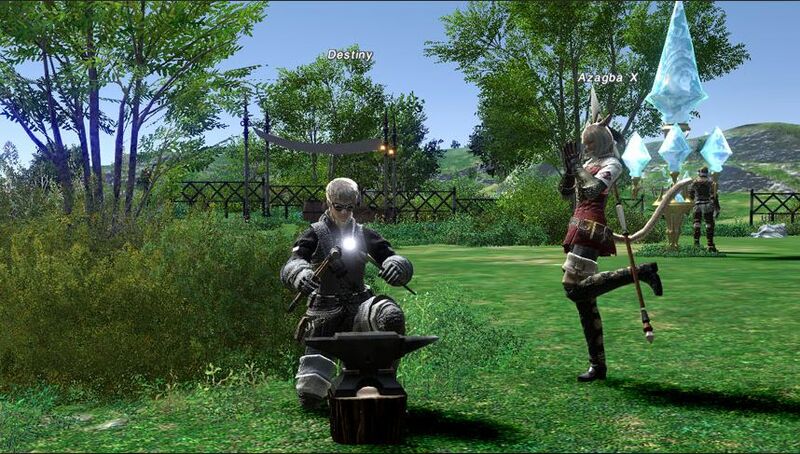 A firm release date of September 29, 2010 has been announced as the release date for the PC version of Final Fantasy XIV, the next MMORPG from Square-Enix. Next year!?!?! That’s not a release date, it’s a prison sentence!?! Wait! Wrong analogy. That prison sentence statement should actually be attached to Gran Turismo but that’s for another post. But 6 months after the release date? That’s a long time. I may be forced to buy a PC before that happens. And even sadder for those are used to playing Final Fantasy XI on their Xbox360 for the past four years since there is no mention of the game to appear on the console (yet) but that wait could be even longer. If only Square-Enix could release their other games sooner but thank you for this pleasant surprise. 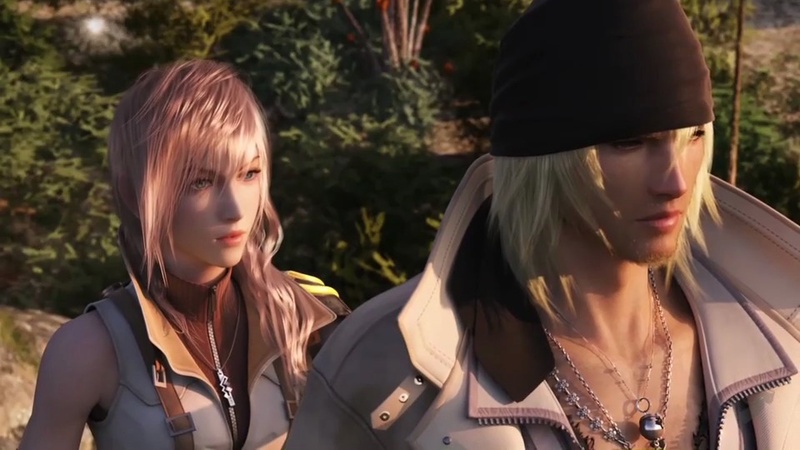 Final Fantasy XIII Video Game, International Trailer HD | Game Trailers & Videos | GameTrailers.com. The international trailer is out and it’s making me want to play the game now. It’s scheduled to be released on both the Xbox and PS3 on March 9. I still think that game is already complete and we’re all just waiting for the Xbox version to come out. At the least we’re no longer waiting more than 6 months for the English version to be released. After almost a lifetime of waiting (five years in gaming is practically a console cycle) Final Fantasy 13 will finally be released in Japan TODAY. The famed Famitsu gaming magazine has given the game an imperfect score of 39/40. The only Final Fantasy game to receive the honor is FF12. Fan favorite Final Fantasy 7 earned 38, while the PS2 FF 10 earned a similar 39/40. Only four games have been awarded this year the coveted “perfect score”. Those include Bayonetta, Super Mario Brothers, Dragon Quest 9 and Monster Rancher 3. Many gamers are fickle folk who will read heavily into reviews before making a purchase, while others will buy the game regardless if it was good or not based on reviews just as long as it had the franchise name on it (Final Fantasy, Guitar Hero and so on…). So does one point matter? I think the game will still be hit. Despite many advances in RPGs by Bioware with Mass Effect and Dragon Age as well as Fallout and Oblivion with Bethesda, there are still a lot gamers who still like the linear gameplay and beautiful cutscenes. I for one will still buy the game. Square-Enix has shipped 2 million copies of the game for the launch. So the game did not get the perfect score from Famitsu. It will still sell millions, just one point shy of the perfect score merely tells gamers that, it’s good ,but not perfect for us, but still good. But for gamers such as myself, April is still too far away for me. I’ll try not care until then. But here’s a thought, was the international release date pushed to spring just so they can release the Xbox version at the same time? I hope not. Because if they did, I would rather be playing it anyway on the PS3 than to wait for the Xbox version to catch up. Yes, it was released to the gaming press before PlayStation Home aired it. But at least March is much much better than December 2010. Players are now waiting in the lobby of the movie theater in Playstation Home eagerly awaiting for the Final Fantasy 13 trailer which is due in less than an hour. Will it finally announce a release date for the rest of the world? Why would Square-Enix go through all the trouble in creating a countdown to November 13 (which is Friday the 13th FYI) just for a trailer. Whatever it is, we’ll know soon enough.